Father Christmas Party Wine. 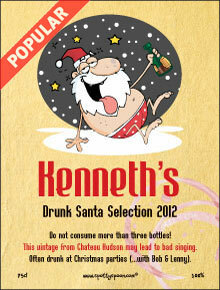 A funny Xmas Wine Label perfect for office Xmas parties. Guaranteed to leave you hangover-free and ready for work? Warning - Not to be over-consumed by Heather or Cynthia! 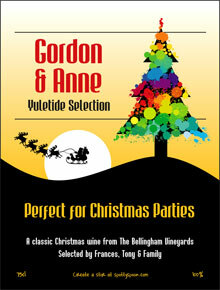 Ideal for Christmas celebrations and Office Parties. 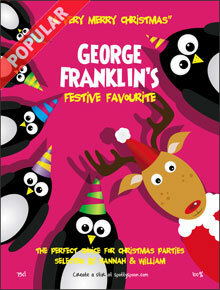 It's guaranteed to get a giggle and a laugh this festive season. Add your own words to make it personal. 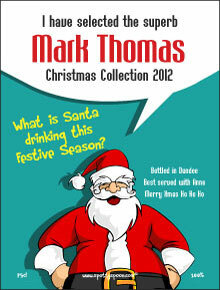 This drunk Santa image with drink in hand leaves a strong impression. It also makes a great Christmas Gift Idea for Christmas 2011.